Tim Barnwell is a photographer and author of five books, including Blue Ridge Parkway Vistas and Great Smoky Mountains Vistas, color guidebooks that helped him compile this list of his favorite mountain views. See more of Barnwell’s work and order his books at www.barnwellphoto.com. 1. Waterrock Knob: At milepost 451.2 on the Blue Ridge Parkway; from the parking lot at the visitor center, you can view off both sides. To the east is Mt. Pisgah, the Shining Rock Ledge, and Richland Balsam, all connected by the parkway. To the west lie Cherokee and the Great Smoky Mountains. 2. Cowee Mountains: The overlook at Blue Ridge Parkway milepost 430.7 offers an expansive, unobstructed view of Whiteside Mountain (near Cashiers) and Rabun Bald in Georgia to the southeast, and all the way to Clingmans Dome in the Great Smoky Mountains to the northwest. 3. The Pisgah Inn: Observation deck, at milepost 408.6 on the Blue Ridge Parkway, provides a sweeping panorama over the Pink Beds and Pisgah National Forest looking toward Brevard and into South Carolina. 4. Mt. Mitchell: Accessed at Blue Ridge Parkway milepost 355, the observation platform at the top offers 360° views of the surrounding mountains from the highest peak in the eastern United States. 5. Chimney Rock State Park: From the top of Chimney Rock, take in views looking northwest over Hickory Nut Gorge and east over beautiful Lake Lure toward Charlotte. 6. Max Patch: This site in Madison County, along the North Carolina/Tennessee line, can be accessed from I-40. The Appalachian Trail traverses the peak, where you get a 360° view of the Black and Craggy mountain ranges in the east to the peaks of the Great Smoky Mountains in the west. 7. The Mile-High Overlook: on Heintooga Ridge Road. Turn off the Blue Ridge Parkway at milepost 458.2 near Cherokee and continue 1.3 miles to the overlook for a truly stunning view toward Great Smoky Mountains National Park, spanning from Clingmans Dome to Cataloochee Valley. 8. Jump Off Rock: Follow Fifth Avenue from downtown Hendersonville until it becomes Laurel Park Highway, then drive to the top of the mountain and a small park. Open sunrise to sunset, the park affords a terrific view of Mt. Pisgah and Asheville beyond. 9. Craggy Gardens Visitor Center: The center, at Blue Ridge Parkway milepost 364.5, offers views over the Asheville watershed and Burnett Reservoir from the east side of the road, and toward Max Patch and the Great Smokies in the west. For a 360° view, hike through tunnels of rhododendron along the Craggy Pinnacle Trail to the summit. 10. Clingmans Dome: Take Clingmans Dome Road off Newfound Gap Road/US 441 in Great Smoky Mountain National Park. From the parking lot, follow the paved path to the observation ramp, which affords a 360° view that includes the massive Mt. LeConte to the north. Keith Jarrett retired from the Asheville Citizen-Times in 2015 after 29 years as a sportswriter. Here, he looks back on those years and further into the past to name the greatest athletes from the mountains. The esteemed writer Robert Morgan was born in Hendersonville and is presently the Kappa Alpha Professor of English at Cornell University in Ithaca, New York. 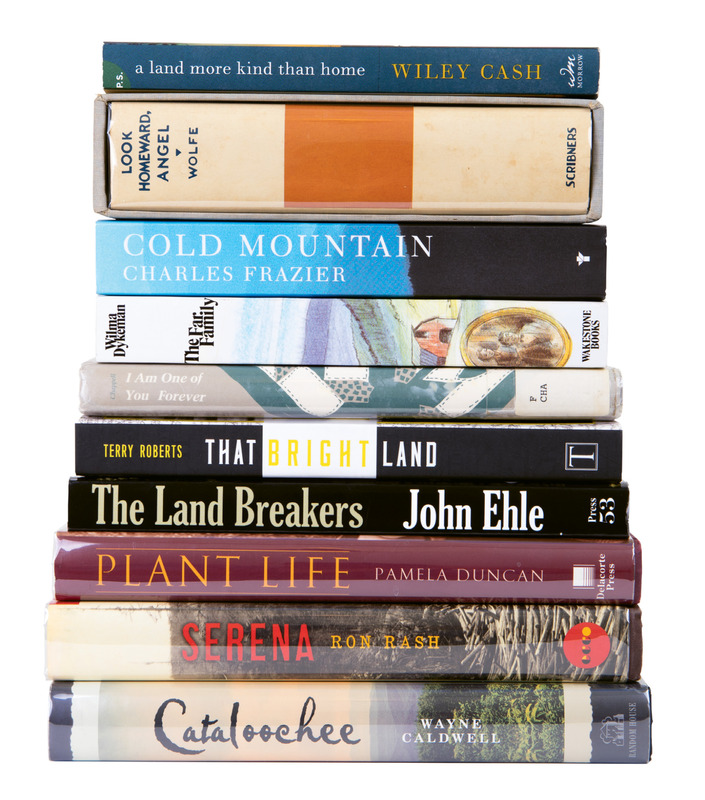 His favorite Western North Carolina-based novels offer a trove of insight about the region. The struggles of young pioneers in 1780s Western North Carolina are set against a vivid history of the times. A gothic 1930s mountain story wherein powerful forces buffet both the people and the land. This tale of a Confederate deserter set in Haywood County won the US National Book Award for Fiction and was made into a major motion picture. A 10-year-old comes of age in WNC, influenced by his colorful cast of relatives. An Appalachian thriller about the bonds between two brothers and the sinister twists they confront in a mountain town. An epic, somewhat autobiographical work set in “Altamont,” Wolfe’s fictional stand-in for his hometown of Asheville. A mountain family grapples with its history and a society beset by racial inequalities. Set right after the Civil War, the story tells of a former Union soldier/spy who returns to the mountains to track a serial killer. A troubled young woman takes solace and wisdom from her community of female mill workers. Set in Cataloochee, 60 years of a family’s triumphs and tragedies are unveiled with exquisite local detail. We can’t fault you for keeping your favorite fishing hole under wraps, but Alen Baker, board chairman of the Fly Fishing Museum of the Southern Appalachians in Bryson City, was kind enough to share something some anglers wouldn’t: his favorite spots to cast a line. Asheville-based film historian Frank Thompson has written more than 40 books on movies and moviemaking. Given his deep knowledge of these subjects, it’s fitting that his list of favorite movies made in WNC, presented here in no particular order, includes some of the earliest ones. 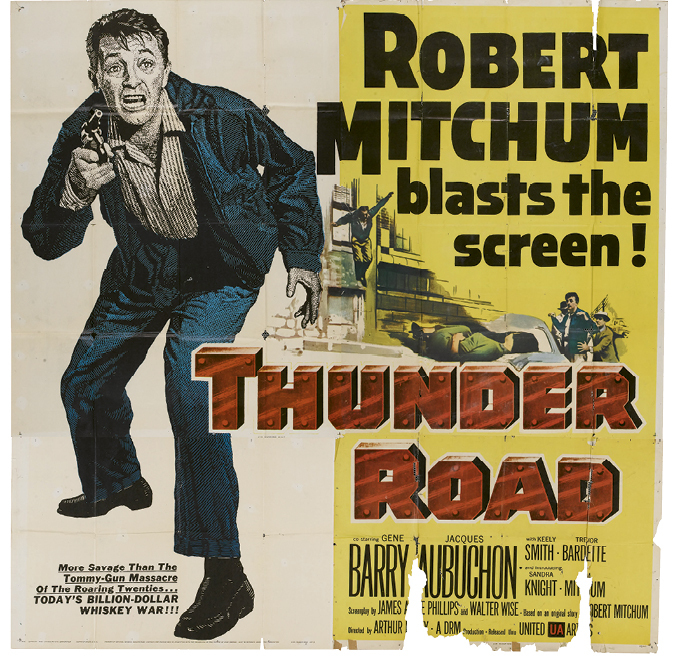 The Robert Mitchum flick, shot mostly in Buncombe and Transylvania counties, reigns as the iconic portrait of vagabond, revved-up moonshine runners. Asheville director Paul Schattel filmed much of this drama, about a sister whose brother is involved in ecoterrorism, in Marshall. This short documentary shows mountain cultural traditions, both white and Native American, in vivid shades. Find it on YouTube to experience a local historical treat. This blockbuster depicting parts of the French and Indian War had key scenes in Asheville and Chimney Rock. One of the biggest movies shot in WNC in the 1920s, this silent film was recently renovated and reshown by Thompson for local audiences. Parts of this big budget antebellum drama were shot at Toxaway Falls in Transylvania County and the Biltmore Estate in Buncombe County. Peter Sellers’ parting performance in the role of Chauncy Gardener cultivated a Zen-like beauty at Biltmore, where much of the movie was filmed. This short silent film shot in the Bat Cave area depicts a fight for a woman’s hand that begins as a proposed river race and winds up engulfed in a forest fire. Another silent drama staged in Bat Cave, this one features local moonshiners. Banner Elk-based writer Randy Johnson is a longtime WNC magazine contributor and the author of several books on the mountain area’s outdoor offerings, including, most recently, his stunning Grandfather Mountain: The History and Guide to an Appalachian Icon (University of North Carolina Press, 2016). For our list, he couldn’t give us his top 10 area hikes without adding a bonus one. This is a true alpine experience where you can climb ladders up cliffs high above vertical-mile vistas. Not up for ladders? Make a loop on the Cragway Trail or hike the Tanawha Trail to Rough Ridge (pictured), accessible from the Blue Ridge Parkway (milepost 302.8). Wander into Alleghany County’s now-deserted Basin Cove community, past still-standing chimneys, to isolated Caudill Cabin. One of the parkway’s few backcountry campsites is halfway to the cabin. Near the Wilson Creek Visitor Center in Caldwell County, multiple, lengthy loop hikes pass some of North Carolina’s most spectacular waterfalls, pools, and campsites. Traverse the entire Black Mountain range from Mt. Mitchell. The east’s highest hike has miles of evergreens above 6,000 feet. Loop High Shoals Falls in this state park near Morganton. 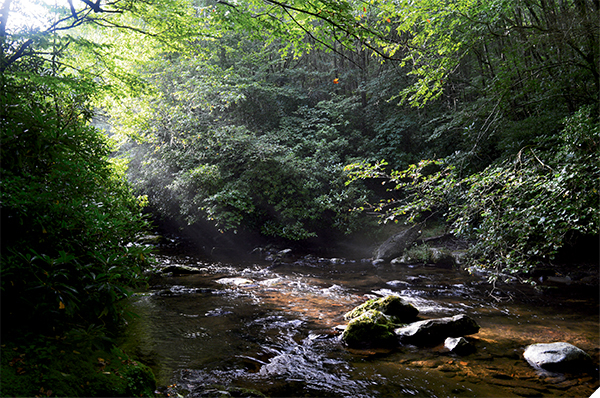 The streamside Hemlock Nature Trail at the start of this walk is one of North Carolina’s best wheelchair hikes. One of the earliest sections of the AT leaves Newfound Gap bound for lush Smokies vistas. There’s no better view of this wilderness cleft, with Lake James and the Piedmont below. This sunny mountainside is perfect for a nice winter day. This flat and easy riverside trail from Cherokee to the Great Smokies’ Mountain Farm Museum features plaques about Cherokee legends and early settlers’ log structures. Near Bakersville, an iconic 12-mile stretch of the AT crosses the South’s best grassy summits, two shelters, and many campsites. 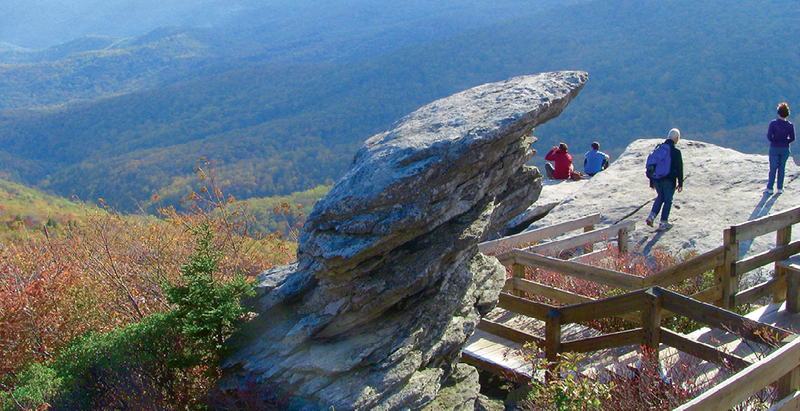 Excellent day hikes from Carver’s Gap include Round Bald and Grassy Ridge. Traverse the northernmost 11 miles of this 30-mile trail across the meadow-dotted summits near Mt. Pisgah; or, just day hike to a picnic on the balds of Black Balsam Knob, near Blue Ridge Parkway milepost 420. From the parking area, easy to moderate trails bypass High Falls and Triple Falls for spectacular cascading spray. Martin Anderson, music director for WNCW in Spindale (88.7 FM) and a frequent host on the station, has long turned his keen ears on local music of both the traditional and the modern kinds and everything in between. 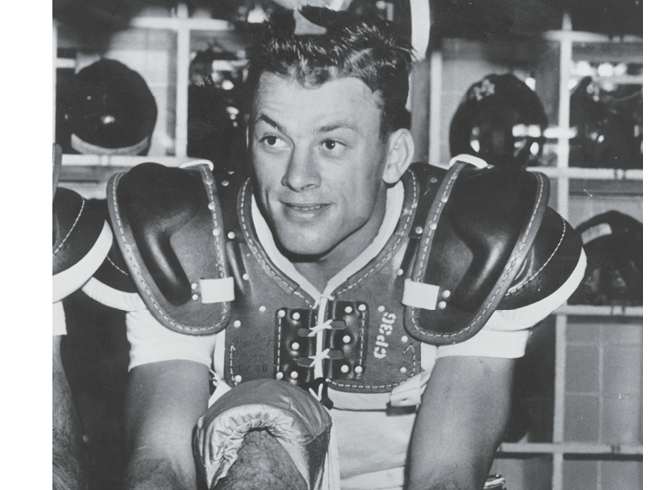 Here are 10 local records he named the tops. 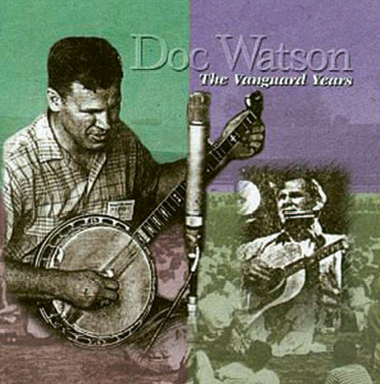 This four-CD set draws from Watson’s early years (1963-71) with Vanguard Records. Featuring live shows and previously unreleased material, it’s considered the definitive Watson collection. Inspired by Charles Frazier’s Cold Mountain, this album offering ballads and old-time folk tunes is like a little time capsule of music hits from the 1860s. The breakout album for this Asheville-bred band showcases the group’s rock-bluegrass fusion. Anderson lists their version of “Brown Mountain Lights” among his favorites. Now a national phenomenon, folk-rock group The Avett Brothers chose Asheville’s Echo Mountain Recording to produce this album, which is often noted as the one that propelled them into the mainstream. A follow-up to the Brevard-based band’s 2012 Grammy for Best Bluegrass Album, Tell the Ones I Love is noted for stretching the genre’s boundaries. This Asheville-based group offers a blend of honky-tonk, country, and Americana tunes. It was on this album, the band’s third, released by Organic Records in Arden, that singer-songwriter Amanda Platt really hit her stride. 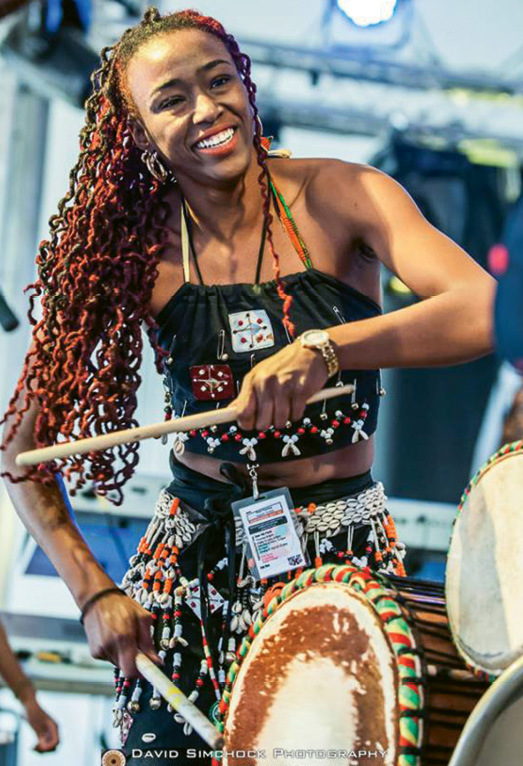 Asheville-born group Toubab Krewe produces a powerful blend of Malian and American musical styles. Since its debut self-titled album, the group has performed far and wide. For the Swiss-born, Wilkesboro-based Krüger Brothers, Up 18 North is considered the album that really cemented their bluegrass sound on CD. The song “Carolina in the Fall” is a quintessential Carolina tune. Brodsky, a local Americana singer-songwriter, is known for his humor and as an expert on baseball lore. Last of the Old Time is considered one of his strongest albums. This singer-songwriter from Saluda has a number of good albums, featuring songs that speak to the region, but Fruits of My Labor rises to the top for Anderson and the WNCW crew. WNC magazine senior editor Jon Elliston is the coauthor of North Carolina Curiosities: Quirky Characters, Roadside Oddities & Other Offbeat Stuff. Here, he shares 10 of his favorite curiosities from the mountains. 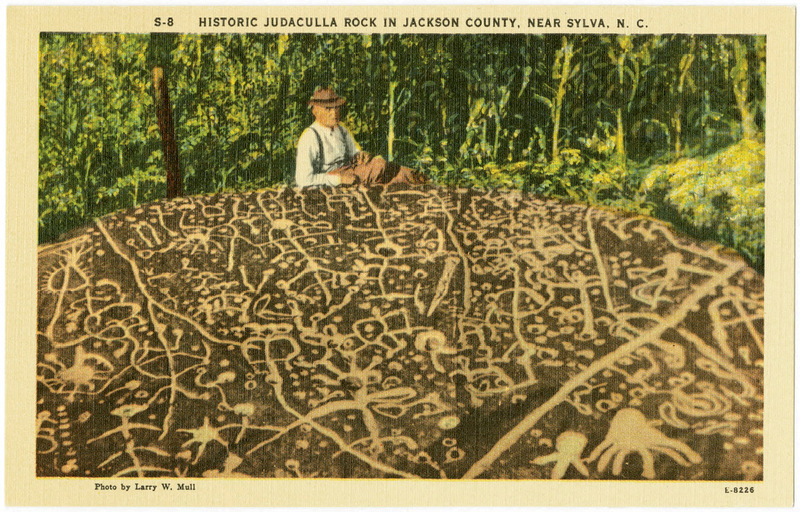 This ancient petroglyph outside of Sylva has eroded in recent decades, but the myriad mysterious carvings in this giant boulder are still something to behold. This man-made geyser near Old Fort was built as a tribute to the men who constructed the Southern Railway lines through perilous mountain passages. Today, it’s a great spot to picnic and enjoy the comforting clack of trains that still circle the spout. This Blowing Rock attraction is a great place to get weird with gravity-defying floors and other illusions. Appearing on random nights for as long as locals can remember, the mystery of these ethereal lights near Linville Falls remains firmly intact. Prevalent in Brevard and its environs, these pale cuties are special enough to locals that they get an annual festival. A former Beech Mountain theme park where Dorothy and crew reigned in the 1970s and ’80s; today, the remnants of the attraction play host to the annual Autumn at Oz festival. Held every September at the Blue Ridge Parkway’s Folk Art Center in Asheville, this competition spins as much fun as a simple mountain toy could possibly produce. Standing sentry in downtown Tryon, this town mascot is a large rendition of what was once a popular locally produced toy. If you don’t live near it, this “Bible Park” near Murphy is worth the drive way out west. It features perhaps the largest rendition of the 10 Commandments to be found anywhere, along with dozens of other religious-themed attractions. Perhaps only in North Carolina would the legislature pass a special law permitting an annual ritual of lowering a caged possum from a poll to usher in the New Year, as folks do at Clay’s Corner in Brasstown. WNC’s editor-in-chief, Melissa Reardon, has spent a decade covering Western North Carolina and experiencing its many celebrations. In no particular order, here are her picks for the best mountain-area festivals and when they’ll be taking place this year. 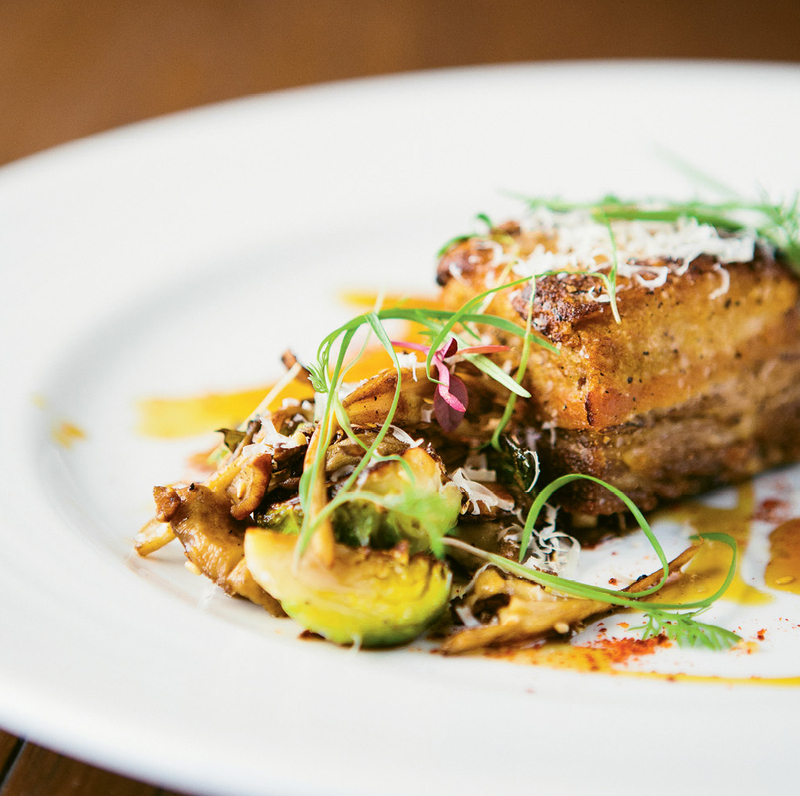 As a food writer and guidebook author, long-time WNC magazine contributor Constance Richards is often asked what are her favorite restaurants. “The better question is, what’s my favorite place right now?” she says. “There are the old standbys that never disappoint, then there’s the list of favorites that changes by week, mood, or season.” Here’s her top 10 at the moment. Highland Avenue in Hickory for the smoked pork belly and spiced rum Old Fashioned, sipped on the terrace of this former hosiery mill overlooking the vast brick-sided chair factory across the highway. Otherworldly. Chai Pani in Asheville for the quick and easy Thali platter that features many favorite spicy flavors and warm bread for tearing and dipping, all on one plate. Bistro Roca in Blowing Rock for the cozy, fireplace-lit living-room ambiance with on point wood-fired dishes. A bonus for pet lovers: The bar walls are covered with black and white photos of patrons’ dogs. Sunny Point Café in Asheville for the megamosa and BLAT (Bacon Lettuce Tomato and Avocado) brunch sandwich and side of sweet potato waffles. Cobo Sushi Bistro & Bar in Boone for lush sushi creations that are beautiful to behold and far too tasty to stop at only one giant roll, accompanied by an array of expertly concocted cocktails, all in a stylish setting. Sovereign Remedies in Asheville for innovative, wholesome, and beautiful bites, where the cocktails and arched picture windows also vie for attention. The post-noshing digestifs are exotic and numerous, and the coffee is excellent. Watch for special reservation-only Indian meals. West First Pizza in Hendersonville for crispy-crusted wood-fired pizzas that one dreams about afterwards, literally. Limones in Asheville for dinners or savory brunches of piquant ceviche and complex dishes, finished with churros, dulce de leche, and hot chocolate. Extra points for recently opening En la Calle next door for tasty Mexican-inflected snacks and unusual cocktails. Madison’s at Old Edwards Inn in Highlands for the elegant, haute cuisine dinner experience you’d expect from a small luxury resort. Cúrate in Asheville for the savory European flavors that one doesn’t often find in this area, like cod and potato purée Brandada de Bacalao and a perfect tortilla dinner for one. I like to squeeze into a solo space at the counter and watch the choreography of the open kitchen. Their port, sangria, and the floral gin and tonic always hit the mark for me.